Happy Holidays, everyone! How was your Christmas? This past week featured more cookies and wine and less miles than normal, but that is part of the holidays: eating, drinking, being merry, and just enjoying life and time with family. Weeks like this keep me motivated and disciplined during the rest of the year to train hard and eat healthy. Congrats to Meredith for winning the customized training plan! To everyone else who entered, please check your inbox for a special promotion on coaching services! Be sure up on Week 1 of training! Monday: AM: 7 miles with 2 x 10 minutes at tempo effort; PM: 15 minutes advanced Pilates. Unlike Hansons, Hudson’s plans gently ease you into threshold training and speed work, which aligns with my own training and coaching philosophy. Today’s workout was included a 2 mile warm-up, 2 x 10 minutes at tempo effort (with the second faster than the first) with a 5 minute recovery jog, and a 1.5-2 mile cool down. The first 10 minutes averaged about a 7:29/mile pace and the second 10 minutes average a 7:20/mile pace. This was a good workout; I finished feeling strong and as if I could have repeated the workout, which is desirable for these early season workouts. You only want to leave everything in a run when it’s a race. Tuesday: 7 miles easy, 9:09/mile. 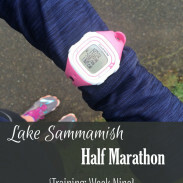 These easy runs focus on recovering from the previous day’s workout, maintaining the aerobic base I built over the past two months, and increasing my mental and physical fatigue resistance. 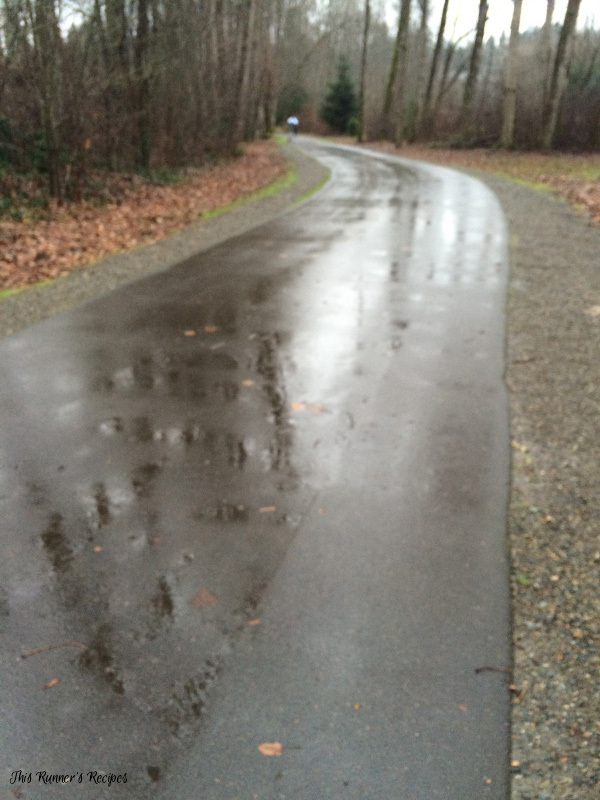 This whole week in Seattle was spent running in the typical light rain that we experience this time of year. Not enough to really bother me during the run, but just enough to soak my clothes and shoes over the course of an hour! Wednesday: 10 mile progression run with last 20 minutes hard, 8:22/mile. I kept my pace easy for the first 7 miles due to the wind and averaged around an 8:50/mile pace. I pushed myself for the last 2.7 miles with splits of 7:40, 7:19, and 7:18. Ryan and I had the best intentions to strength train in the evening, but we ended up getting drinks and Mexican food instead. Life’s all about balance, right? Thursday: 2 miles easy with Ryan and Charlie. You may have noticed that I haven’t run with Charlie in a while. Back in early December, we decided to fast Charlie from running until the day of our flight to St. Louis. Charlie’s endurance builds quickly, but his first run back after a break always succeeds in tiring him. We wanted a tired puppy for that flight, so Charlie had a break from running until this day. We ran super early and kept our run at 20 minutes (including several puggle potty breaks). We wanted to get to the airport hours before our flight, which worked to our favor since our first flight was delayed so late that we would have missed our connecting flight. Fortunately, the people at SeaTac switched us to an earlier and direct flight to St. Louis. Thankfully, Charlie behaved well during the entire process of security lines and flying. I don’t run on Christmas. Each year I take Christmas Day as a rest day, because family and church come before running. Although the pleasant weather in St. Louis certainly made it tempting to head out on a run! We woke up to rain in St. Louis and knew we had to get in our run earlier than later. It ended up raining 7+ inches, but thankfully we enjoyed a a lighter period of rain to squeeze in three miles before the downpour began (which literally started when we got back to our car). Running with Ryan is one of my favorite parts of vacations and holidays. More rain and wind in St. Louis, so I took this day as an off day. This will be my last post of the year: I’ll be taking the rest of this week off to enjoy time with family and friends, since it’s not often that Ryan and I get to see our family since we moved to Seattle. I wish you all a Happy New Year and look forward to catching up with you on Monday, January 4! Do you and your spouse/significant other run together often? Do you cut back on workouts for the holidays? Every once in a while Rob and I will run together. We generally run the same paces so it works out pretty well. I ended up getting in most of my usual workouts last week because I had more time with being off from work. I hope you enjoy your time with your family- Happy New Year! That’s so fun that you and Rob get to run together sometimes! I hope you enjoy time off and time with your family – Happy New Year! I’m so excited that you won!! I can’t wait to work with you and see what you accomplish! I hope you have the best time in Boston and enjoy your week – happy New Year! Aw, sweet puggles! 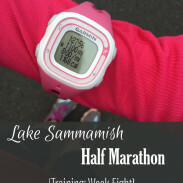 I followed a modified Hudson plan when I was training for my half marathon PR. It worked really well for me! Hope you had a great Christmas! 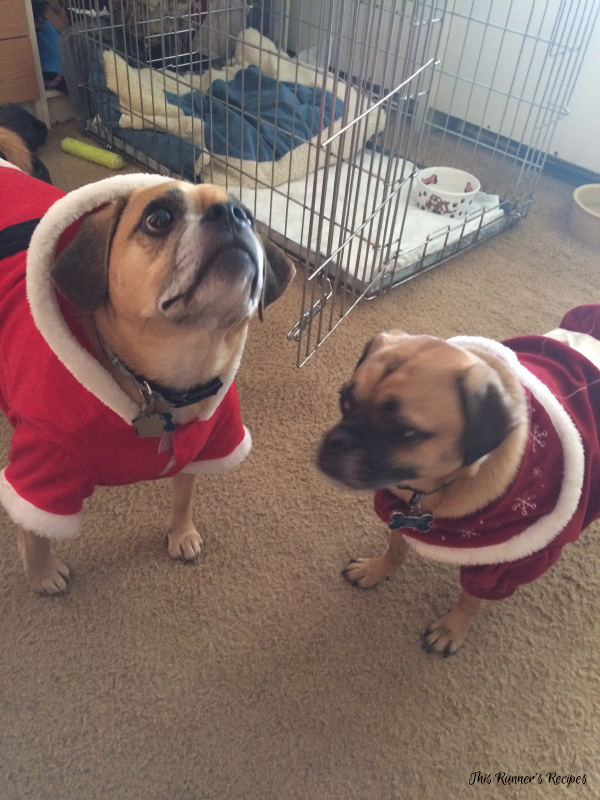 Thank you – the puggles are so sweet, although they both have their moments! I’m glad to hear a modified Hudson plan worked for you – I really like his more effort-based approach and really hope to PR off of it. I hope you had a great Christmas and have a happy new year! Alex and I typically get in one run a year, lol. Right now, though, he is running for both of us! Happy New Year! Hopefully you too can get in some runs together once you heal up! Happy New Year! I love that you guys run together. Greg will come out with me once in a while and its a lot of fun! I also took Christmas day off from running and really took some time to relax, read from my devotional and do some yoga. I hope you have a wonderful week spending time with family, Laura! Thank you, Angie! It sounds like you had a wonderful Christmas – it is so nice to take that day off to relax! I hope you’re enjoying time with your family and have a happy New Year! I hope you have a great week with the family! 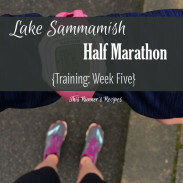 I did cut back on workouts last week and only ran 30 miles (2 bodypump classes, too). I am feeling it today and ready to get back on the wagon… especially with all the holiday food I ate! 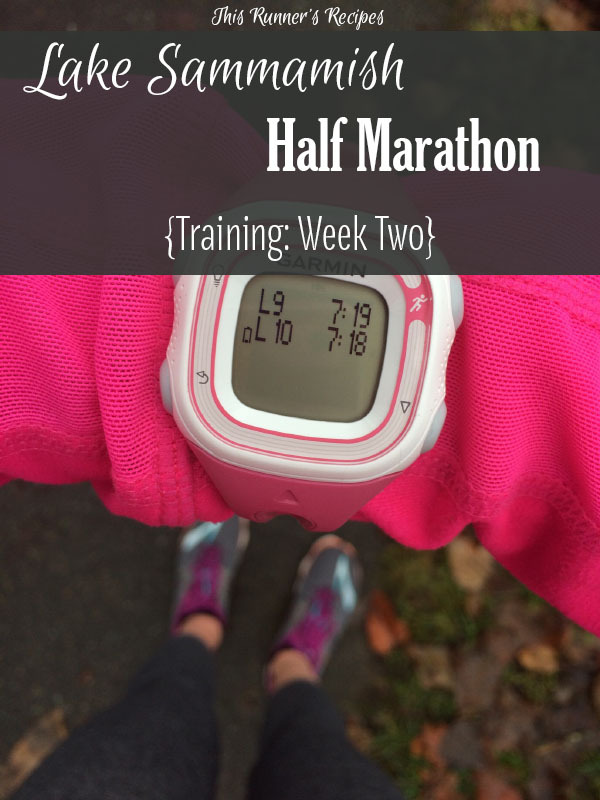 Looks like you had a good week of training even if you didn’t run as many miles. Thank you, Amy – I did! I completely agree with that feeling of wanting to get back on the wagon – I certainly ate more sugar than my body is used to! HAPPY NEW YEAR!! See you in 2016! Thank you! Although being back in the Midwest makes me realize how soft I’ve become to the wind – Seattle winds are nothing compared to a strong Midwest gust! I hope you had a wonderful Christmas and a Happy New Year! Glad you had such a good Christmas! Andrew and I would run together more often but usually one of us needs to stay with Callum. If we ever get a babysitter we would rather use the time to go out for dinner or something. I didn’t run much at all last week because of my back, but I usually run every Christmas Day. It’s actually my church, something I look forward to doing every Christmas. Just by myself, no music or anything, but a long run of reflection and thankfulness and all that good stuff. Maybe I’ll be okay enough to do it on New Year’s Day. Thank you! That totally makes sense that you both would choose dinner over running – those dates are so important 🙂 I hope you can feel better to get a good New Year’s Day run in! It can be hard when paces are different! I hope you and Ray had a wonderful Christmas and have a happy New Year! I wish my husband would even walk with me. He needs to.. I don’t cut back on my workouts for the holidays. That’s the priority no matter what time of year it is! Good for you – I wish I had that much dedication! When it comes to the holidays I just don’t feel like logging hour plus runs every day. I hope you have a happy New year!